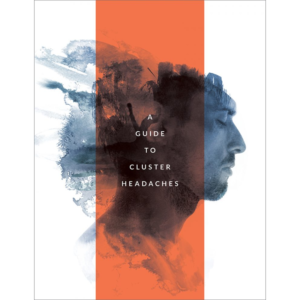 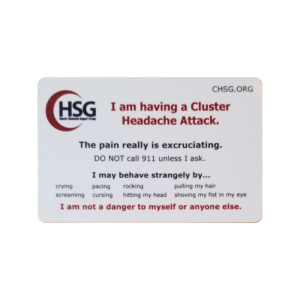 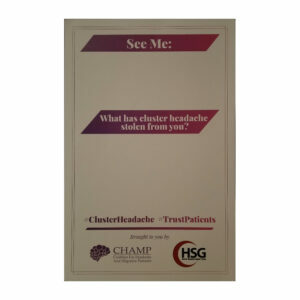 For a $3.00 donation, we’ll send you this credit card sized, durable, plastic Cluster Headache alert card. 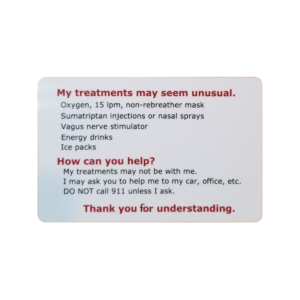 Carry it in your wallet to use whenever you experience an attack in public. 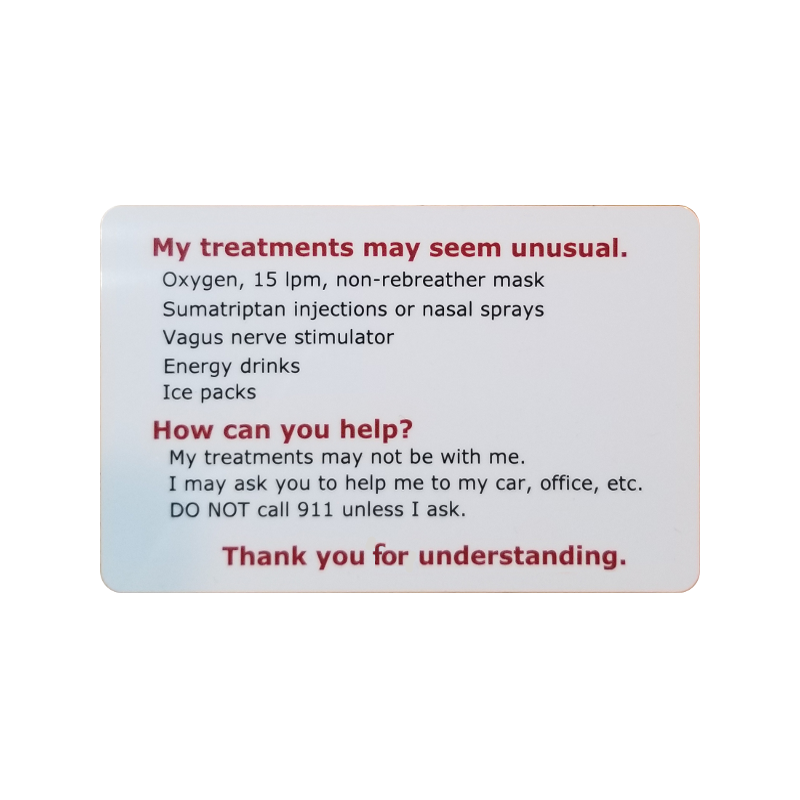 Leave the house with confidence during a cycle, knowing this little card will?speak for you when you can’t speak for yourself. 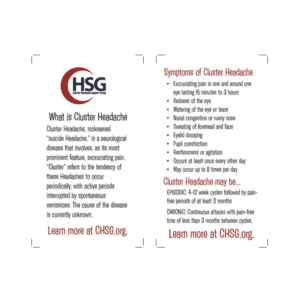 ?Avoid misunderstandings and raise awareness by carrying this Cluster Alert Card in your wallet. 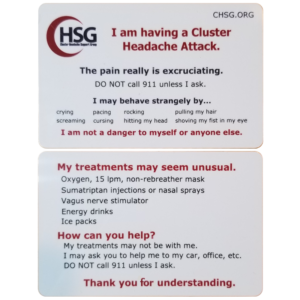 All too often, well-meaning people who are alarmed by our symptoms are tempted to call 911 on our behalf. 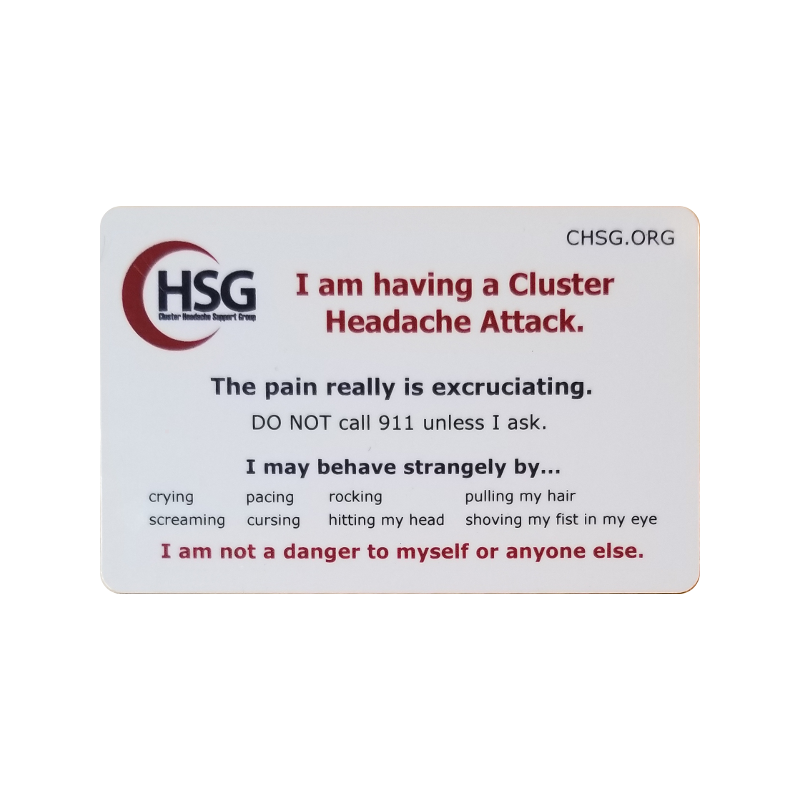 This can lead to embarrassing, expensive, unnecessary, avoidable interactions with police or emergency personnel. 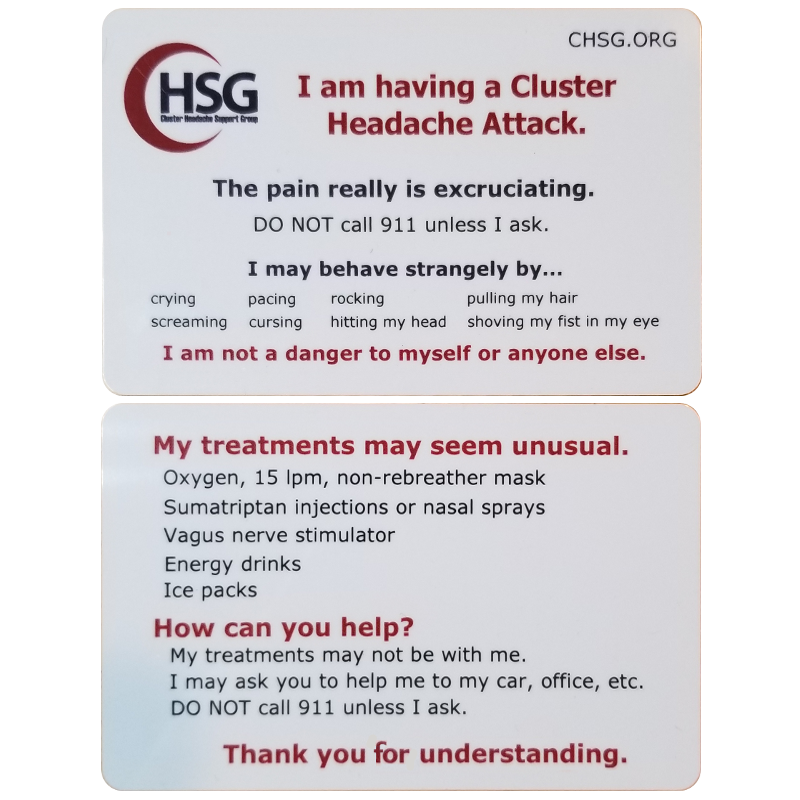 Save yourself the hassle and never leave home without this helpful alert card.